Just like those devastating hurricanes with oddly normal names like Harvey and Maria, the current wave of Afropop music might as well be named Mr. Eazi. But unfortunately, a combination of the singer’s unnuanced approach, the Nigerian superiority complex, and decades of rivalry with our Ghanaian neighbours, is threatening the singer’s short but impactful music legacy. 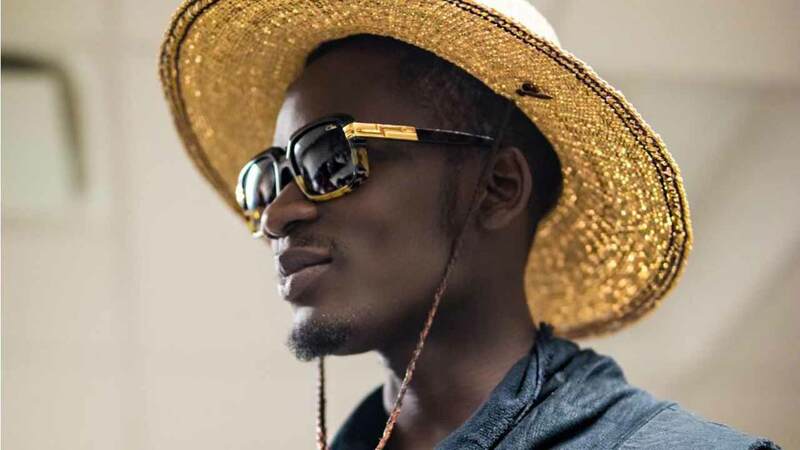 Earlier in the year, Eazi caused controversy when he ventured that the influence of Ghana on the present-day Nigerian sound could not be “overemphasized.” The Port Harcourt-born singer received so much heat from the Nigerian community that he had to apologize. But only a few months after, Eazi released a freestyle titled “Billboards,” where he made a similarly controversial observation: everyone on the radio sounded just like him. More recently, a clip surfaced of an interview where the singer took even more credit for the reabsorption of Ghanaian culture into Nigerian music. And in a somewhat condescending manner, Eazi questioned how else Nigerian artists could have gotten access to the culture if not through him. The backlash was strong, but this time, Eazi didn’t apologise, you get the sense that he meant every word of what he said. And the singer has a point. The only thing he is guilty of is, overstating it – to a country where outward humility is a weird national value – and not providing enough context. ET Mensah and Fela Kuti would turn in their graves at the thought that the cultural influence of Ghana on its bigger neighbour is suddenly at an all-time high in 2017. ET is widely credited with the spread of highlife throughout West Africa in the 1950s/60s, while Fela famously coined the name ‘Afrobeat’ in 1968 when he was in Accra – a place he drew lots of inspiration from. There have been other significant cultural exchanges through the years, like when hiplife was at its peak in the 1990s and early 2000s, and labels like Kennis Music and EKB Records cross-promoted artists from both countries; then circa 2013, with the rise of the azonto and alkayida dance movements. That said, you could also understand why Mr. Eazi, a singer who got most of his music sensibilities from the Gold Coast, wants this moment in music history to favour his Ghanaian side. In the recent past, Nigerian artists have appropriated Ghanaian music and culture, and forced the originators to share their glory. In 2013, Batman Samini called out P-Square for jacking azonto culture on their hit song “Alingo”, while Wizkid and Olamide’s homages to the same movement became so popular that they literally began to look like co-originators. But that was four, five years ago. ‘Pon pon’ has become the dominant Afropop sound of 2017, and Mr. Eazi wants the world to know that he’s had more than a hand in it. Pon pon is dance music characterized by a combination of a mid-tempo sway and sparse percussive production. The beat is often, but not necessarily, punctuated by a pair of soft-synths that sound like a car’s horn; Ghanaian slangs and street talk also feature in the lyrics. Pon pon is a modification of Mr. Eazi’s banku music – which has a Ghanaian highlife underbelly, Nigerian progressions, and lyrics that combine pidgin from both countries. The singer named the sound after the carbohydrate-heavy Ghanaian meal because, with his deep voice and pedestrian delivery, it has a similar drowsy feel. Several singers, from veterans like 2Baba, to rookies like Mayorkun, are on board with the sound. However, Mr. Eazi didn’t change Afropop music all on his own, depending on how far back you want to go. One could already hear Burna Boy and his early producer Leriq, gradually slowing down the tempo of Afropop music; not to mention the similarities between Eazi and Burna’s vocal qualities. Mr. Eazi has the utmost respect for the fascinatingly troubled singer, even describing his music as ‘infectious’. But besides Burna, there is an even more important factor in the evolution of Afropop: Tekno. 2016 was Mr. Eazi’s year but it will also be remembered as the year that the landscape of pop music was divided into two: Before Pana (BP) and After Pana (AP). Tekno and producer Krizbeats struck gold with “Pana”. The producer says he gave the record a slight Highlife feel and it complimented Tekno’s happy-go-lucky, mid-tempo, party music. Tekno’s follow-up single “Diana” was also produced by Krizbeats (and Selebobo), it featured the pair of soft-synths that eventually became important parts of Pon pon. After ploughing through Ghana and the U.K., Hurricane Eazi would eventually touch down in Nigeria in mid-2016. 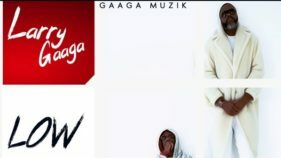 Along the way, the singer worked with Juls, an innovative U.K.-based Ghanaian producer. Juls produced Eazi’s crossover hits “Bankulize”, “Skin Tight” and “Holl’ Up” and helped to form what became the sonic template of Banku music. 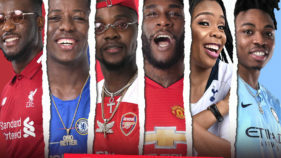 Banku remained a novel sound to Nigerians for a couple of months but towards the end of year, Runtown became the singer’s rumoured nemesis when he released his classic ode to Ghanaian women “Mad Over You.” The record was a timely hybrid of Banku music and Tekno’s unnamed sound, another shift occurred. Davido will later christen the new sound ‘Pon pon’, and with songs like, “If” and “Fall”, it has gone on to dominate local radio in 2017. Time will tell whether this wave will last forever like highlife and Afrobeat or whether it will go away like Azonto and Alkayida. But when this moment in Nigerian music history is being remembered, the effect of Hurricane Eazi will not be deemphasized.